SALE: LIMITED SIZES AVAILABLE!! GET THEM BEFORE THEY GO!!! 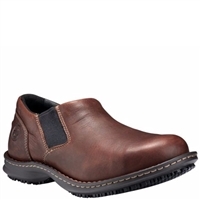 Women's TiTAN® oxford work shoes with the industrial technology of one of Timberland PRO®'s most popular collections. 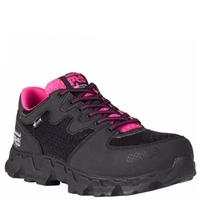 The athletic Women's Timberland PRO® Powertrain sneakers will give you contemporary work site style. 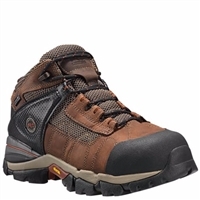 Timberland PRO®'s Mudsill work shoes have that hiker look but are packed with job-site performance. 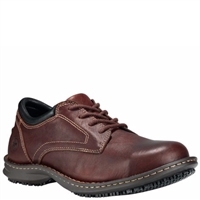 Athletic styling gives these men's Timberland PRO® work shoes contemporary style. 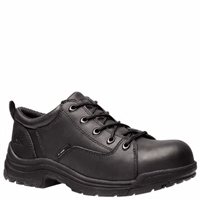 Timberland PRO®'s Powertrain Sport work shoes have athletic styling that surpasses the job site. 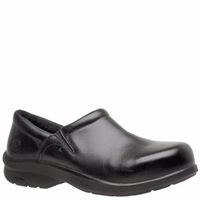 Your days at work will fly by when your feet feel this good. 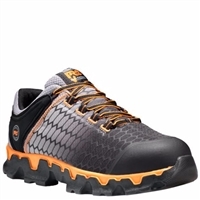 Timberland PRO®'s Powertrain safety-toe shoes incorporate lightweight performance with athletic style and alloy toe protection. Don't be fooled by the comfortable clog look of Timberland PRO®'s Women's Newbury ESD Slip-On. 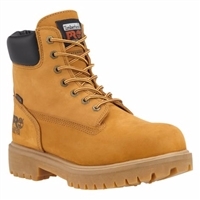 The Timberland PRO® Pit Boss is everything steel toe boots should be: Safe, rugged and really comfortable. 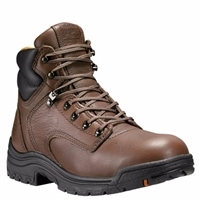 The Timberland PRO® Pit Boss is everything steel toe boots should be: Safe, rugged and comfortable. 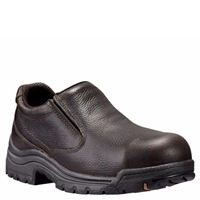 These women's TiTAN® oxford work shoes give you a rugged look with the industrial technology of one of Timberland PRO®'s most popular collections. 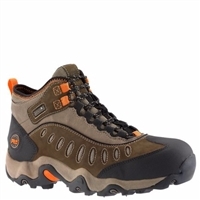 This is one of most lightweight safety toe boots. Timberland PRO®'s Mudslinger steel toe boots feature enhanced oil-, slip- and abrasion-resistant outsole that has low-profile traction for a variety of surfaces. 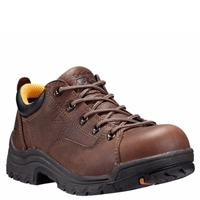 Timberland PRO®'s Men's Gladstone steel toe work shoes bring style and job site performance. 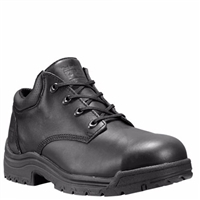 Timberland PRO®'s Men's Gladstone steel toe lace up work shoes bring style and job site performance. Timberland PRO®'s Branston slip-on work shoes pair rugged good looks with the performance features like an alloy toe, non-slip outsole, fiberglass shank, and cement construction. 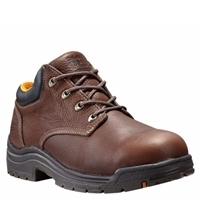 These leather work shoes look stylish and keep your feet protected and comfortable as part of Timberland PRO®'s TiTAN® work boot and shoe line. 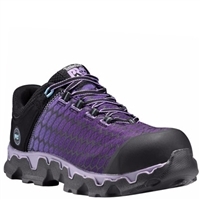 These women's boots are just what you're looking for. 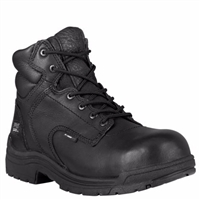 This is Timberland's standard TiTAN® work boot - lightweight, reliable, comfortable, and ready to protect and cushion your feet during long days on the job. 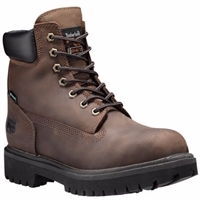 These Timberland PRO® TiTAN® composite toe work boots are both lightweight and are designed to take on the job site. 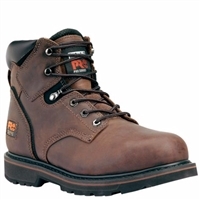 These resilient steel toe boots are built to keep you going, even during those long shifts. 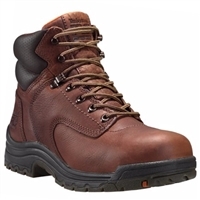 The Timberland PRO® Ascender Alloy Toe work boot powers through job sites with rugged slip-resistant outsoles, electrical hazard protection against live circuits and energized conductors, and a welt construction. 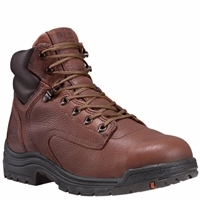 This is Timberland's standard TiTAN® Alloy Toe work boot - really dependable, very lightweight, comfortable, and ready to protect and cushion your feet during those long days on the job. 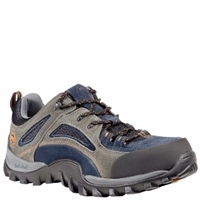 Timberland PRO®'s Hyperion has a lower profile that's built for a greater range of flexibility. 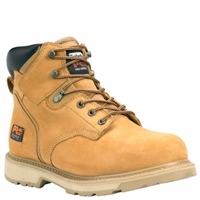 The Timberland PRO® Resistor: their original classic, all-purpose waterproof work boots.